This tool is used to change the pin settings of other diagnostic tools/scanners without the needs to cut the connecting cable for re-wiring. You can also quickly switch between different terminals of your vehicle's OBD socket when using beta software/hardware. 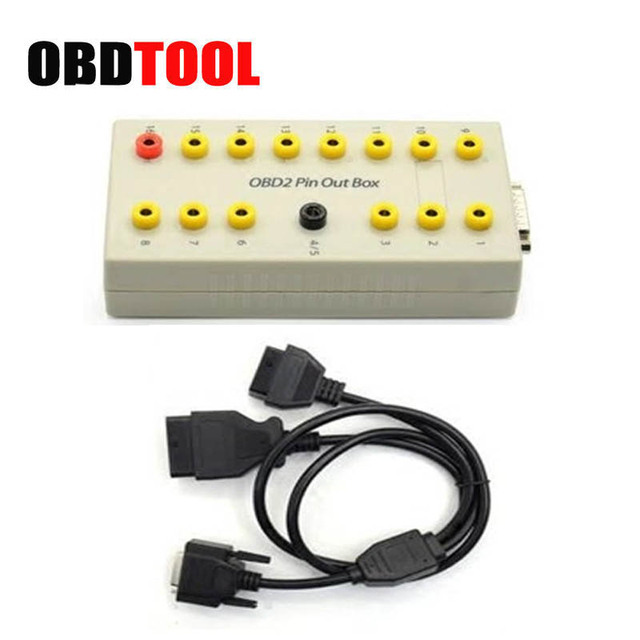 Comes with a quality lead with all 16 pins wired.With a 16 pin female OBD connector, 16 pin male OBD connector and 15 pin D plug to connect to the breakout box. Allows monitoring of any OBD2 diagnostic systems. Quickly switch data points without soldering. Ideal for checking vehicle's diagnostic status. 1 x OBD Breakout box.